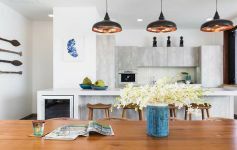 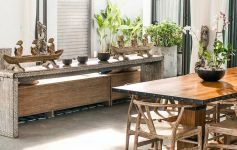 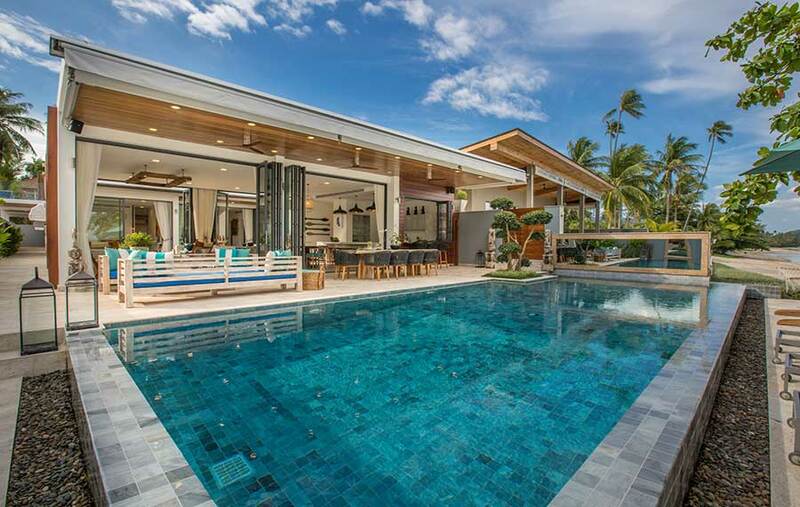 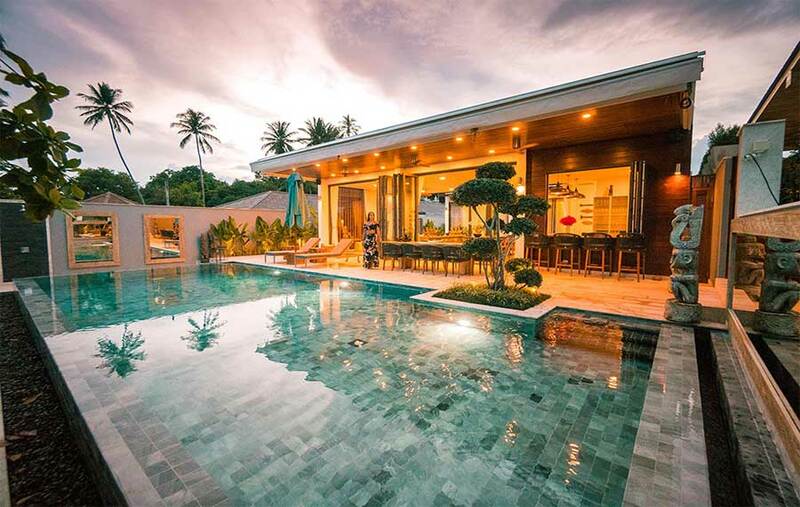 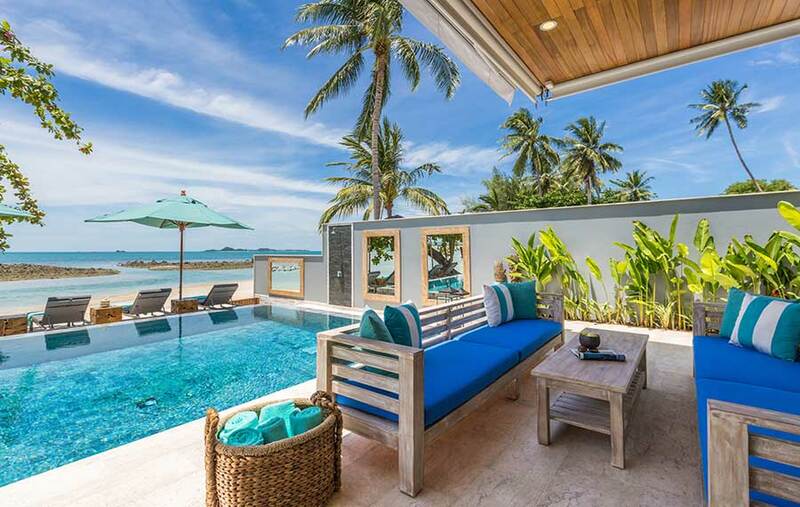 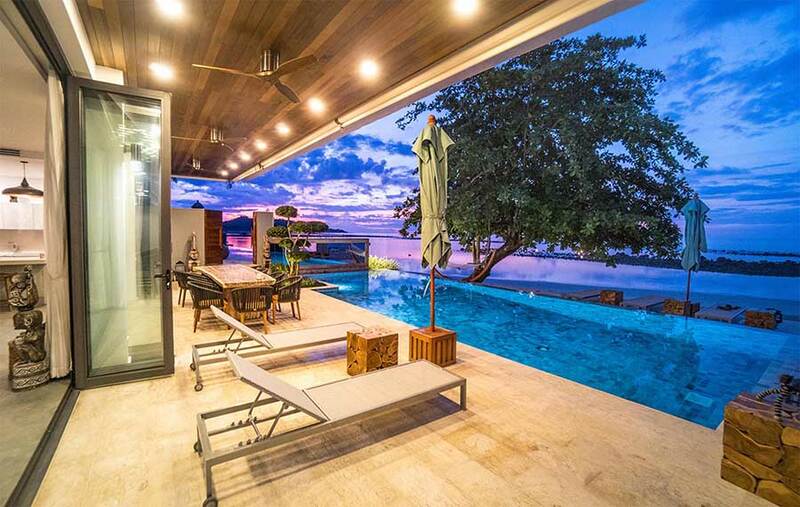 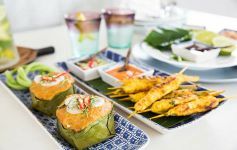 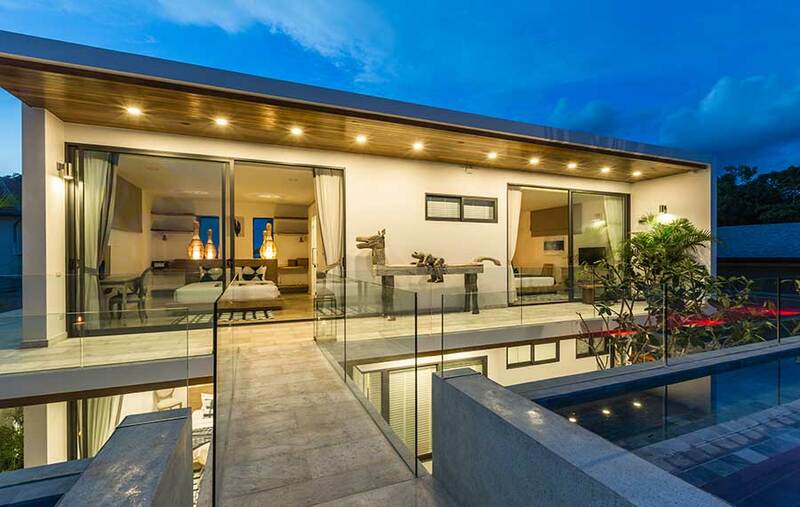 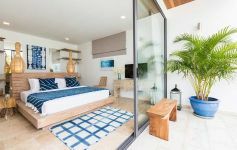 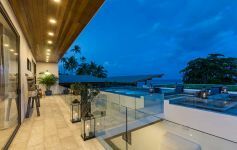 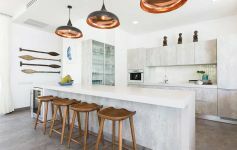 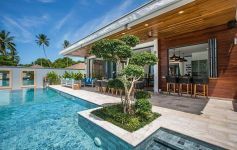 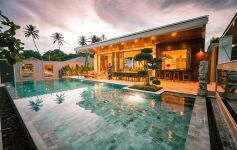 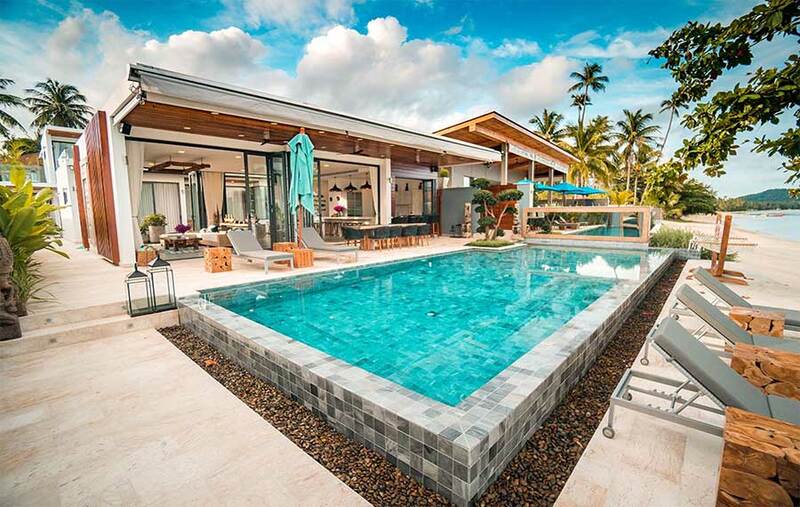 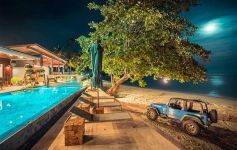 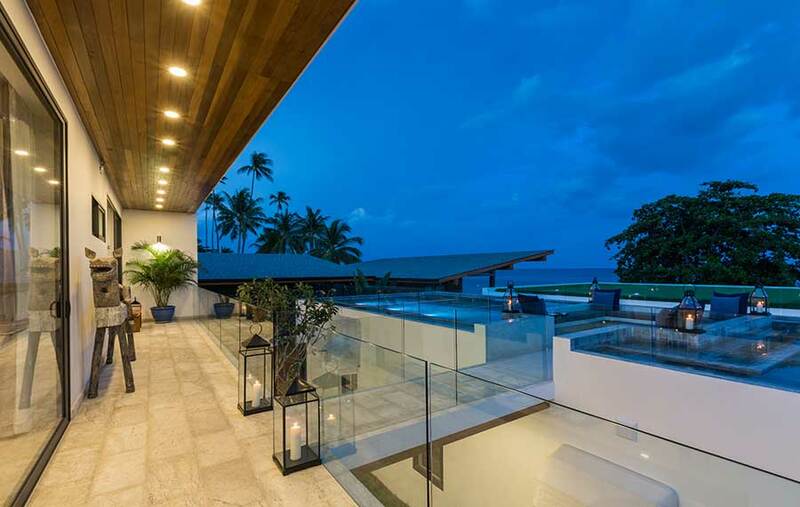 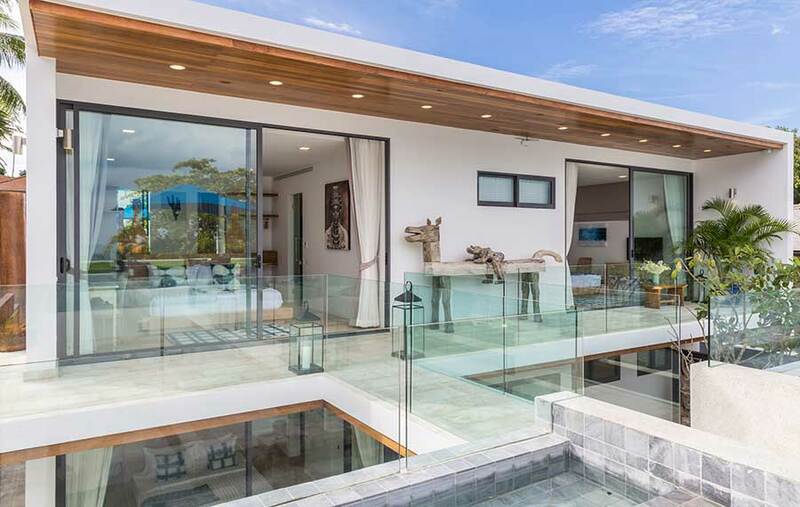 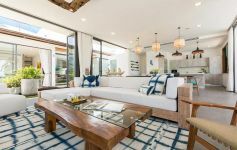 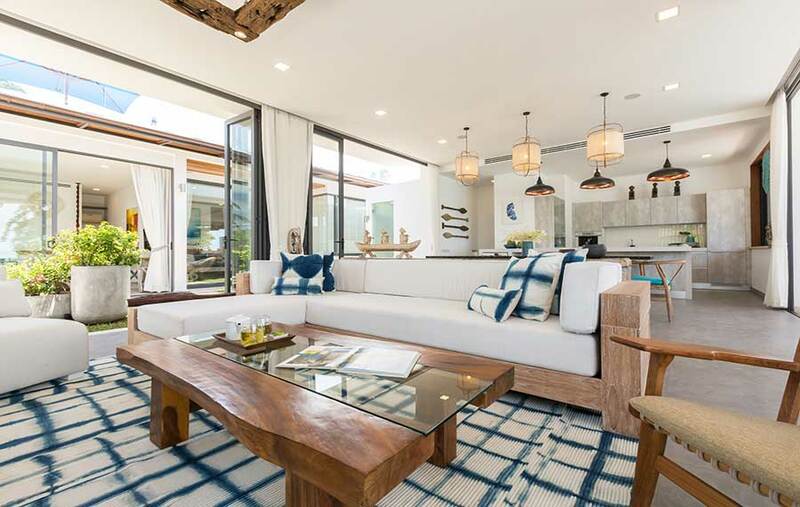 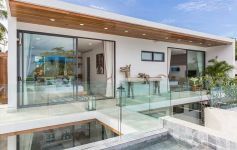 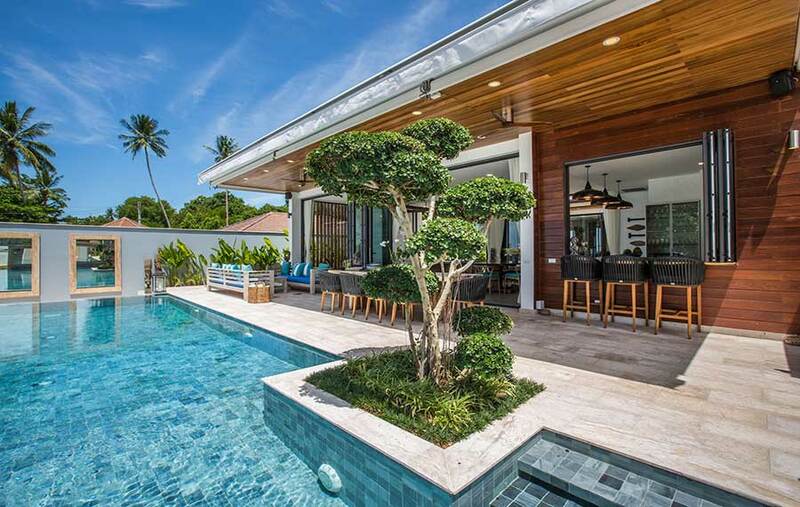 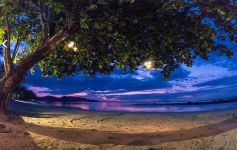 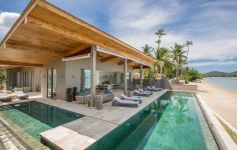 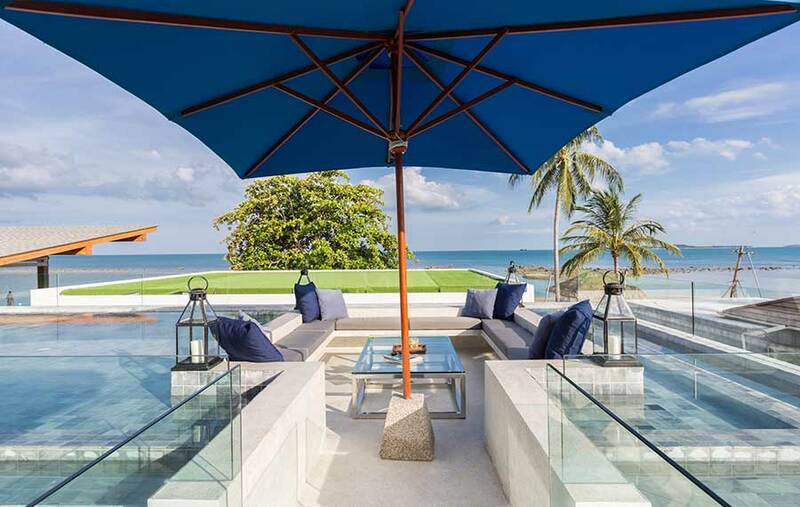 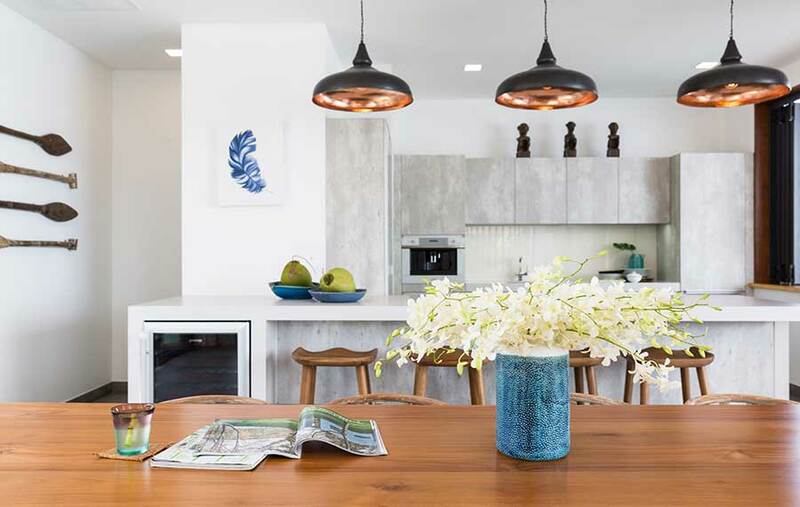 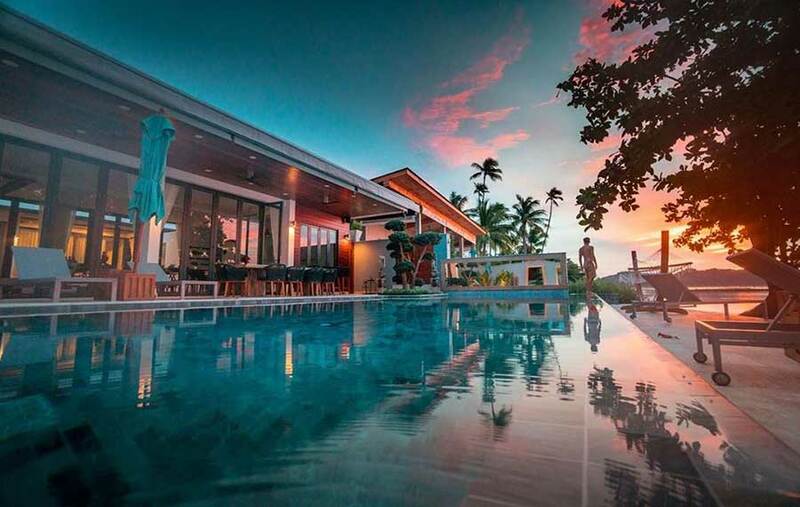 Built on two levels, this outstanding tropical beachfront villa provides the highest levels of luxury coupled with the ultimate tranquil setting of unspoilt Laem Sor Beach. On the ground floor are three of the bright, spacious ensuite bedrooms that look out to the landscaped courtyard. 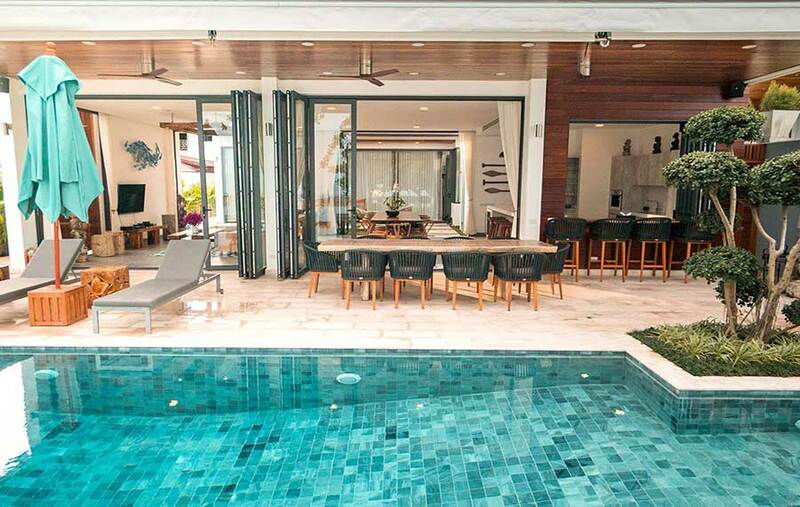 Across the courtyard are the open-plan living and dining areas. The dining room comfortably seats 12 and the living room features oversized comfy sofas, elegant décor and a multimedia system for family viewing and entertainment. 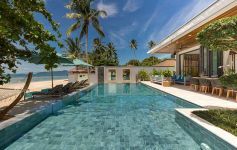 The awe-inspiring views from the infinity pool are to the ocean and the charming neighbouring small island of Koh Tan. 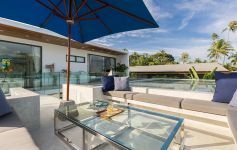 A large decking area fronts the living spaces affording great opportunities for alfresco dining and maximizing outdoor living. 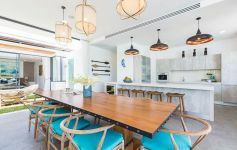 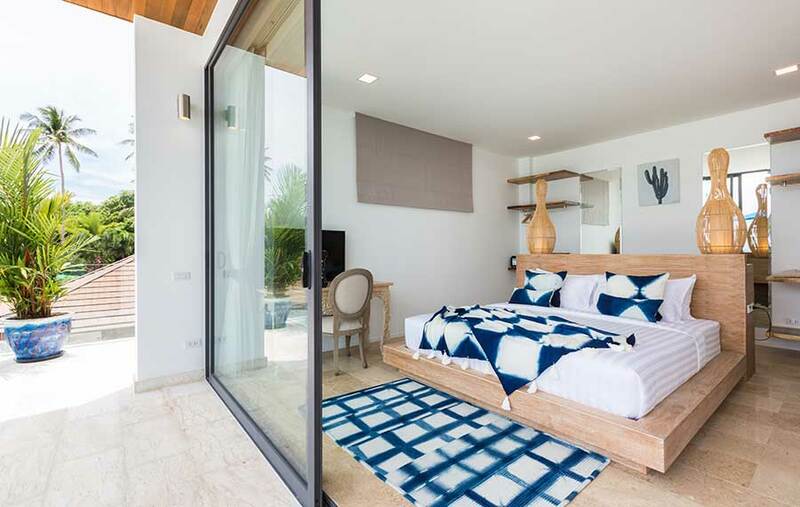 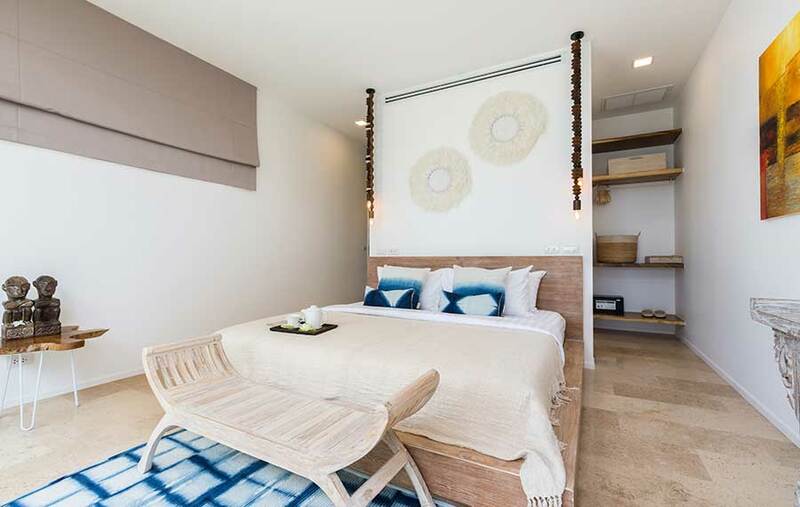 Up on the second floor are a further three bedrooms, one master, with glorious views over Laem Sor Bay. 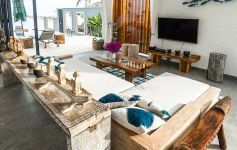 From there, an outdoor terrace leads to the funky moonlight terrace where sumptuous cushions provide the perfect place to view the stars. The 12-meter infinity pool, sits directly on the beach enjoying the cool on shore breezes. 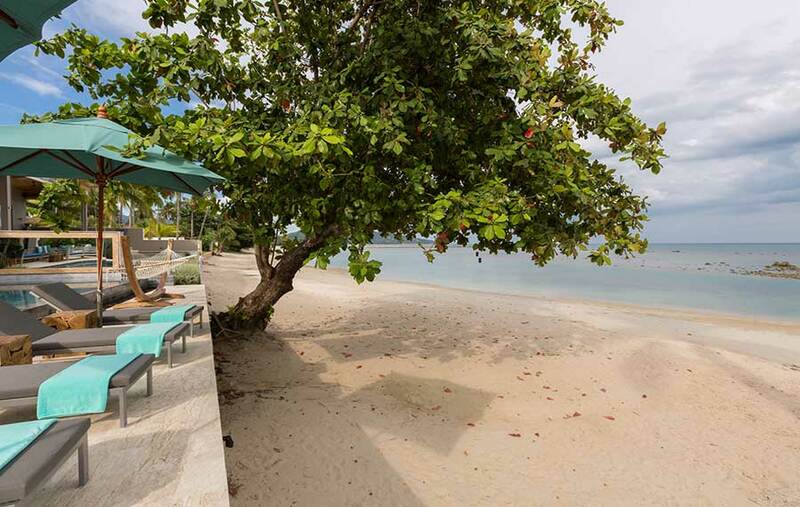 A few steps from the pool and you’re on the beach with shallow waters and, at most times, not another soul to interrupt your day. 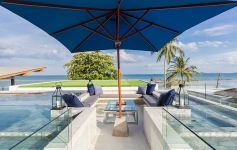 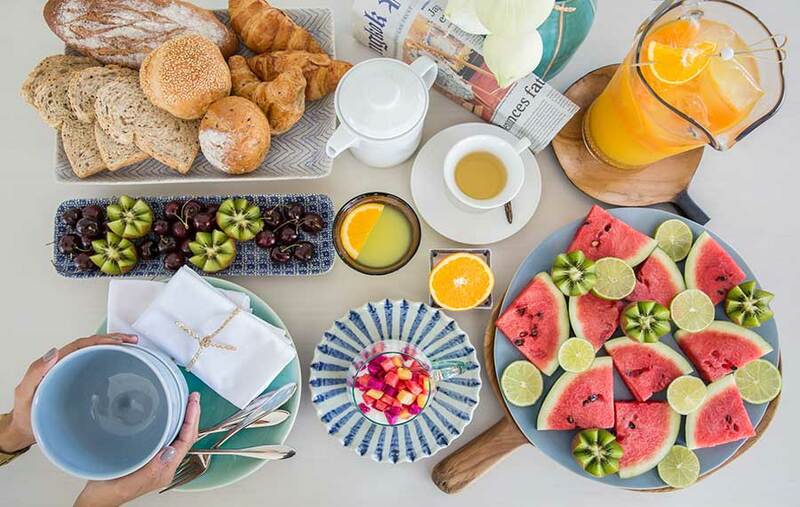 The large open-air deck, fronting the villa is perfect for chilling in one of the comfortable chairs or dining al fresco with a panoramic view of the beach and the sea. A separate and safe soft play area for the kids with inflatable pool toys can be occupied if they need a few hours off the pool and beach. 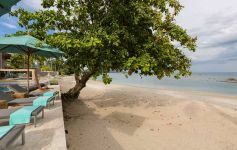 The adults can get some down time as one of the villa staff will be very happy to supervise the kids as they play. 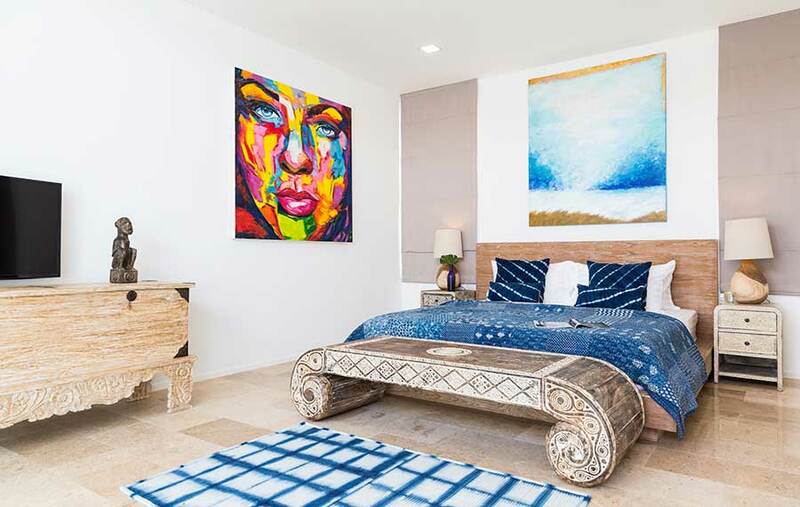 Each of the villa’s six ensuite bedrooms are housed in separate pavilions, maximizing privacy, space and sea views. 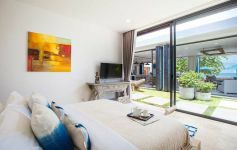 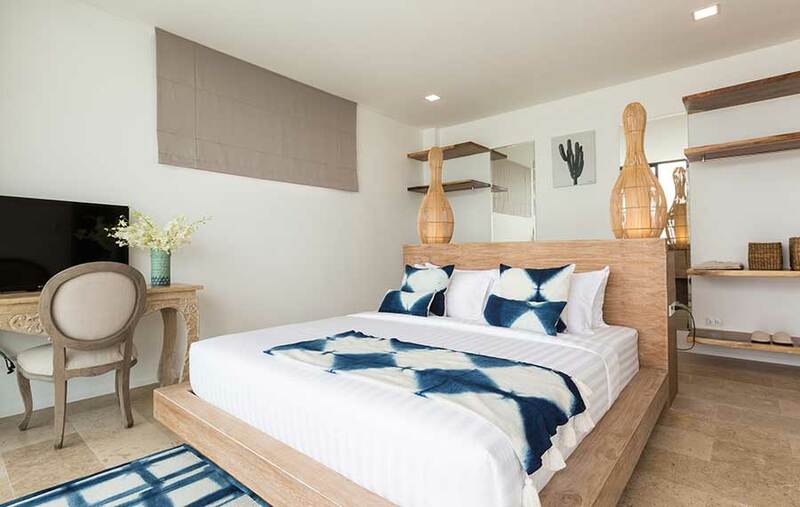 All of the bedroom suites feature high ceilings and clean contemporary lines with plush furnishings and modern fixtures and fittings. 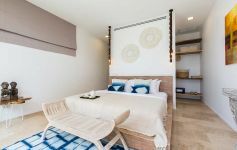 The master suite with king bed, sofa seating area and 40’’ TV screen enjoys an amazing view over the pool and out across the bay. 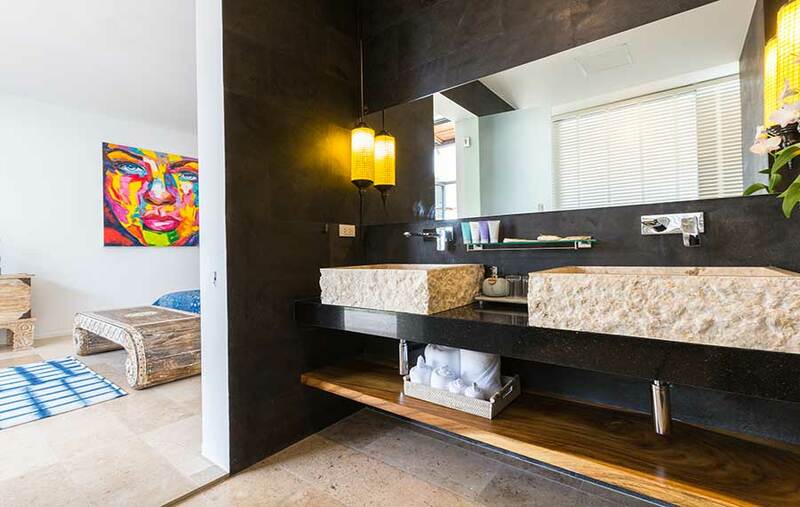 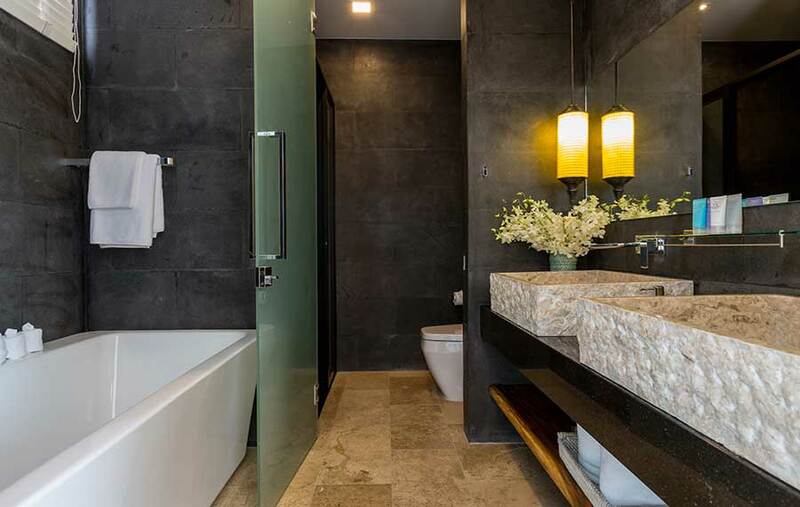 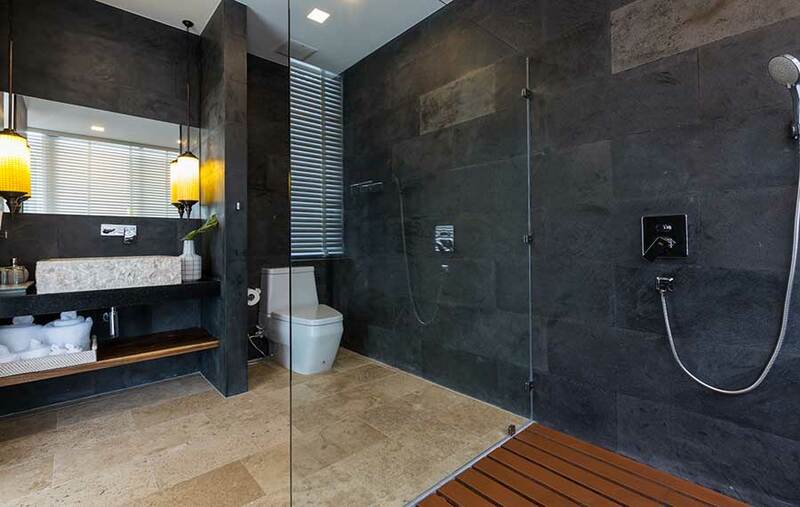 A beautifully designed terrazzo bathroom with its bath tub made for two brings a romantic touch to the villa. 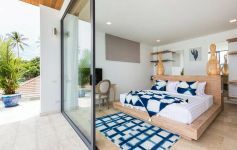 A dedicated kids’ bunk room with interconnecting doors to one of the adult bedrooms ensures the children are within easy reach but parents and kids can enjoy their own separate spaces. 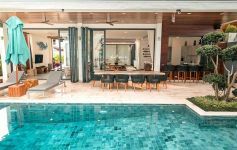 This is also a prime luxury holiday rental villa commanding some of the highest rates on the island.